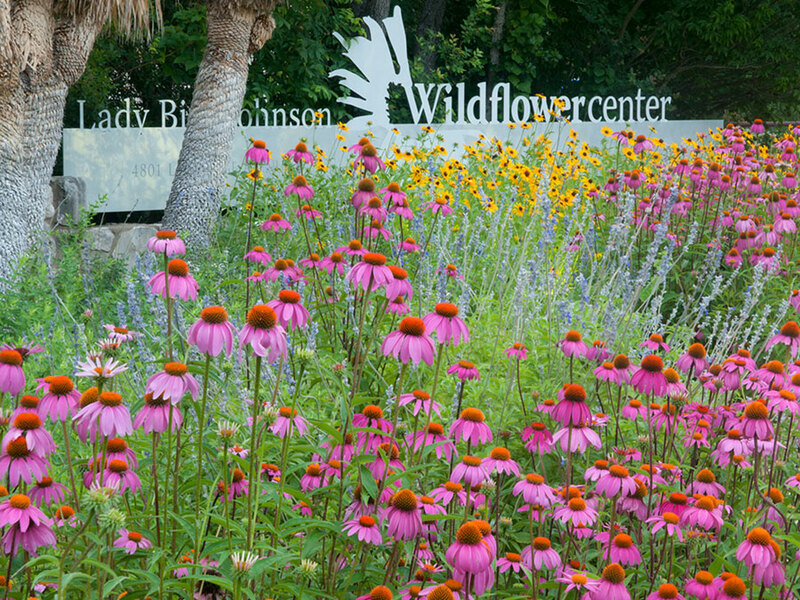 AUSTIN, Texas-The University of Texas Board of Regents today (June 20) authorized the execution of a Memorandum of Intent to make the Lady Bird Johnson Wildflower Center a component of The University of Texas at Austin. The Executive Committee of the center’s board of directors is expected to approve the memorandum on June 21. Discussions have been under way for some time about a mutually beneficial union between the university and the nonprofit center. The plan is for the center, with its native plant education, research, outreach and demonstration programs, to become an Organized Research and Outreach Unit of the university, integrated into the College of Natural Sciences and the School of Architecture. The center includes more than 283 acres of landscapes, botanical gardens and architecturally compelling buildings in Southwest Austin. The Memorandum of Intent will authorize the university and the center to finalize a permanent agreement that would transfer to the university the center’s assets. This includes its acreage, facilities and substantially all of the center’s endowment valued at $8.5 million. The center will complement resources in place at the university, including courses in botany and landscape architecture and the Environmental Science Institute. It will extend research opportunities for faculty and students through the Environmental Studies Institute and the Center for Sustainable Development. Mrs. Johnson served as a member of the University of Texas System Board of Regents from 1971 to 1977. Collaboration between the university and center has been under way for years through joint research initiatives, use of the Wildflower Center as a research field site, professional conferences, advisory council meetings and adjunct faculty appointments for Wildflower Center scientists. As part of the university, the center would remain open to the public with its full range of classes, children’s activities, and art and gardening festivals. The center’s governing board would become a university advisory council, and center staff would become university employees. The center was founded in 1982 by Mrs. Johnson and actress Helen Hayes as the National Wildflower Research Center. It was originally located in a small house on an undeveloped 60-acre plot of land off Route 973 east of Austin. In 1995, the center moved to its present site, then totaling 43 acres, and opened a complex of facilities designed as a model of total resource conservation by Overland Partners of San Antonio. In subsequent years, the center acquired an additional 236 adjoining acres. Its mission is to increase the sustainable use and conservation of native wildflowers, plants and landscapes.